From Milan: Highway Milano-Venezia A4 exit Brescia est. 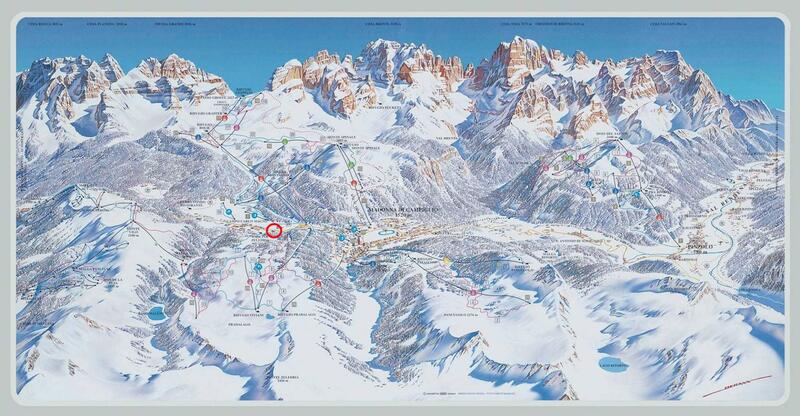 From the highway exit you will find signs for Madonna di Campiglio. Follow signs for Lago di Idro - Tione di Trento - Madonna di Campiglio. From Verona: Highway Modena-Brennero A22 taking the “Trento centro” exit; as soon as you are out of the toll booth turn right and take the overpass - Sarche - Tione di Trento - Madonna di Campiglio. From the highway exit you will find signs for Madonna di Campiglio. The nearest train station is Trento (80 km). Contact us to have the direct service from the train station to the hotel, every day, 24h a day. The nearest airports are Brescia (120 km), Verona (170 km), Bergamo (180 km), Milan (260 km). Airports are served by national and low cost airlines. Every day, 24 hours a day from the airports of Milan, Venice, Verona, Bergamo, Brescia, Bolzano and from the train stations of Trento and Bolzano. The Carlo Magno Hotel Spa Resort is delighted to offer a transfer service in helicopter or limousine. For further information kindly contact the reception desk. The Carlo Magno Hotel SPA Resort is marked with the red circle.